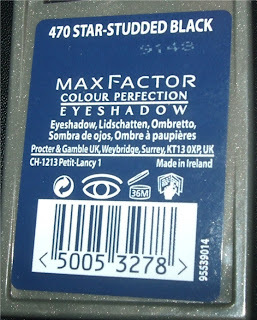 In my opinion a lot of Max Factor products seem to get overlooked, apart from their mascaras and shadow sticks that is. I'm probably a culprit for that too. 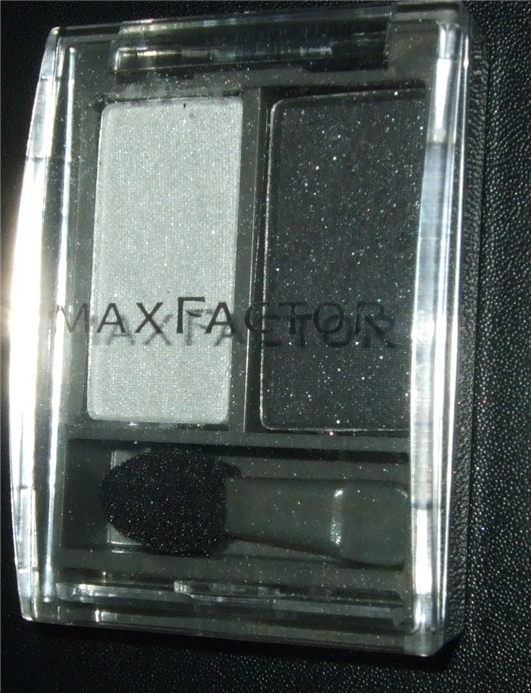 The reason for purchase is that I love the combination, bold contour and highlight colours is what I like. 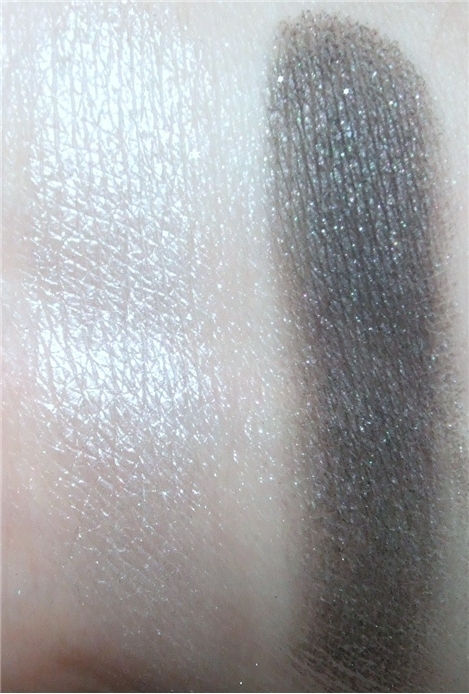 Pigmentation is really not that bad and the glittery black side is what I was hoping MAC Black Tied eyeshadow would be like. It seems to be more pigmented and you cannot feel the glitter particles. The otherside is a nice grey toned pearly white and a nice soft texture. 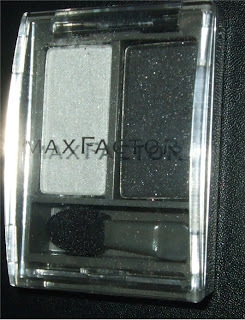 RRP is £6.49 and I do believe this is my first Max Factor eyeshadow. :) They currently have a gift with purchase at Boots at the moment if you spend £15 or more. 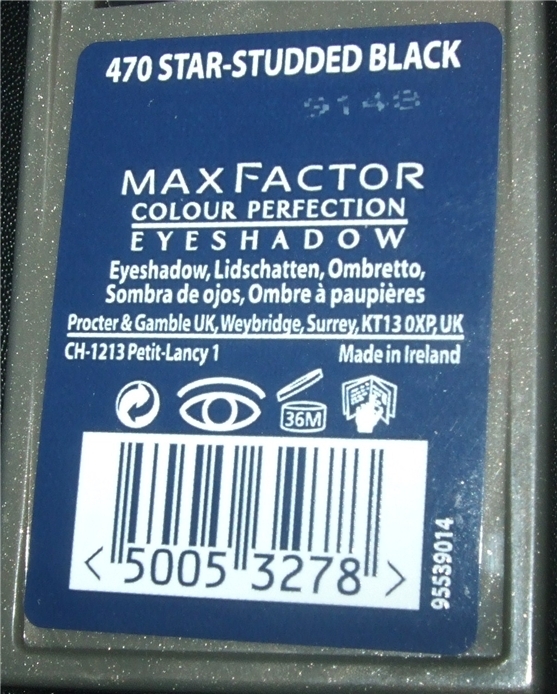 So I'll definitely won't be zooming past the Max Factor shelves any time soon. It's a shame MF left the states. 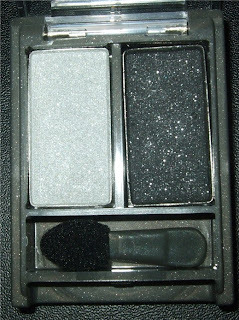 I wanted to try their Volume Couture mascara.